The Exit Rooms have two locations in Buffalo; The Nursery can be found in their place on the south side of the city, very near to New Era Field. They’re located in an older house with a smaller sign out front but ample parking out back. On entering it still feels very much like a house instead of a place of business or entertainment venue, but on the plus side the staff are friendly and there is at least a small waiting area should you arrive early. Our experience of The Nursery started with a quick run-down of the rules in the lobby, after which we entered the room and watched the intro video which set up the story. After that we were free to start exploring and solving puzzles. Unfortunately, first impressions were not great. The windows were covered with bare sheets of plywood which let in light around the edges and the room quality in general was pretty disappointing. The decorations were minimal and the quality of the props ranged between flimsy to merely adequate. Our team also ran into problems with the flashlights we had been given, some of which were quite weak and a few of which refused to work at all. Fortunately replacements were available. Likewise the immersion was fairly weak. We were given a bare-bones story at the beginning but there was no story development as we progressed through the room. There was an attempt to make it feel like a nursery with a few props and pieces of furniture of the sort you would expect to find in a nursery, but the walls were mostly bare and there was no soundtrack to help set the mood. Fortunately the puzzles were a little stronger, with a few caveats. There were a lot of similar locks and a few poor quality, finicky locks which required some fiddling to open. On the plus side there was a good variety of puzzles including some fairly unique ones of types not seen too often in other rooms. One or two puzzles required some small amounts of teamwork, but for the most part there weren’t too many team-building tasks. The flow was fairly linear, but fortunately the puzzles did lend themselves to collaboration and our group of four was engaged throughout. Overall, we were neither blown away nor completely disappointed by this room. It was fairly short with no bells or whistles but on the plus side it did have a few interesting puzzles. 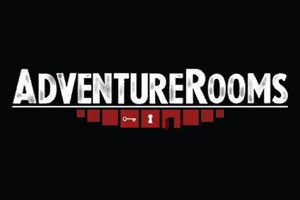 Newcomers to escape rooms might find the puzzles are at about the right level of difficulty, but don’t expect anything too amazing in terms of set design and room quality. 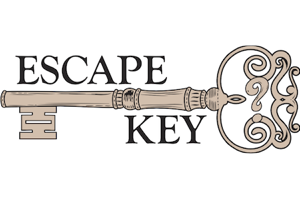 Experienced escapers will probably want to look for something which presents a bit more of a challenge.